You want only the best for your family, but how do you know which sedan to buy? You’re probably looking for something that’s safe, efficient, and roomy enough to fit your kids, sports gear, and groceries. For 2017, five cars stood out among the rest as the top sedans for your family. The Honda Civic is a compact car, but it works great for smaller families. It’s roomier than your average small sedan and has plenty of trunk space for your stuff. Plus, it received top-notch crash test safety scores. It has a fantastic ride quality and excellent fuel economy with 28 mpg in the city and 39 mpg on the highway. The Civic also has a low price, with the starting MSRP set at $18,740 for the entry-level LX trim. The Camry is an exceptional option for someone who loves Toyota craftsmanship but needs a little more space than the Corolla can provide. It has a smooth and powerful V6 engine and user-friendly controls that are easy to learn. The rear seats are where the Toyota Camry shines, with more than average space and extremely comfortable seating for every passenger in the cabin. 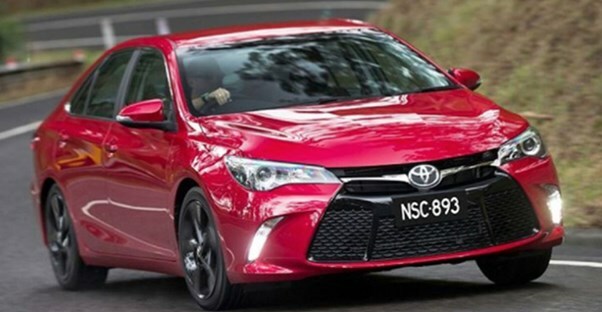 Finally, the Camry LE also has a low starting price of $23,070. The Chevrolet Impala has been around for decades, and Chevy has done plenty of honing in that time. One of the biggest benefits of this sedan is the size. It has a huge backseat that’s perfect for carrying passengers, luggage, or gear. Plus, the trunk is a massive 18.8 cubic feet, which provides more room than your average sedan. It also has a very quiet cabin at highway speeds and rides smoothly over bumps or rough roads. Chevrolet lists the starting price for the Impala LS as $28,175. Malibu may make you think of a beautiful, relaxing beach. Thankfully, the Chevrolet Malibu isn’t too far off from this image thanks to the spacious interior and comfortable seating that’s tall-person-friendly. It has strong brakes and sporty handling around turns. It also comes with a responsive and intuitive eight-inch touchscreen interface with sharp graphics. Chevrolet lists the Malibu L with a starting MSRP of $21,680. The Hyundai Sonata has received a decent redesign over the last couple of years, so the 2017 version has remained relatively unchanged from the 2016 model. You get plenty of user-friendly features for your money and a spacious interior with seats that ideal for long drives. Plus, it has a smooth highway ride with minimal road noise. It gets great fuel economy at 25 mpg in the city and 36 mpg on the highway, but what might interest parents most are the excellent crash test ratings and the ten-year engine warranty. What’s better than being covered for the worst? Being covered at a low price! The Hyundai Sonata has a reasonable MSRP, with the SE trim starting at $21,950.